Good security is essential to ensure the safety of your employees and customers and it is vital for good business. It is important to come up with a good security plan and this involves implementing different features of security encompassing everything from equipment to personnel. Having a high quality monitored security system helps to take the pressure off. This means that you can focus on your core business of generating income and attracting customers while leaving issues of security to the experts. Hiring a good monitored security system company will give you peace of mind and you can manage your business effectively without worry. Most security monitoring firms offer customized service programs and you can find a plan or security system that is ideal for your business. Businesses that have monitored security are secure in the knowledge that when an incident occurs or the alarms go off, emergency respondents can be there within minutes. The same cannot be said of unmonitored security systems that only act as deterrents but do not ensure the same response. Monitored security systems help to deter theft. The fact is that no criminal wants to risk being caught and they look for easy opportunities. Video surveillance and monitoring often act as a strong deterrent to break-ins, theft, vandalism and shop lifting among other criminal acts. Video surveillance helps to provide recorded documentation that will allow you to look back at the events to see what occurred. You can turn the evidence over to the police and it can prove to be very valuable for the investigation. The best way to get justice is by having clear proof of the activities. The best thing about working with the best service providers is that you can benefit from advances in technology. The security services offer a variety of advanced camera or video technology that comes complete with remote access. You can get a high level of control by accessing your surveillance data anytime. Many companies suffer loses occasioned by internal sources and you can prevent this through the surveillance systems. Research has shown that employee theft and other illegal activities go down drastically in places that have monitored security systems. A good reason to get monitored services from a reputable company is that you can benefit from a wide range of services. A seamless monitoring service will provide 24/7 alarm monitoring and efficient computers that have back -up systems to guard against service interruptions. You also get monitoring of the opening and closing activities of your businesses as well as security alarm monitoring. The service providers are able to detect illegal breaking and entering activities. A good security service provider will offer round the clock technical support and will help to highlight and solve potential issues. When you decide to get security services, you can choose from a wide range of plans available. A good security provider will offer options and in most cases will tailor a program to suit the business. This means that you can get a plan that will suit your specific situation and your budget. You can be sure of getting a security program that you will be satisfied with and you even get regular maintenance of the system. You can choose from the plans provided by the security firm and they include video surveillance, electronic access control, panic buttons, fire safety systems and intrusion surveillance and detection. Your security service provider can allow you to choose a solution or package that will fit your budget. When you hire the monitored services, the security provider is able to respond to your alarm from a central station. Highly trained professionals are on stand-by 24/7 to respond to emergencies and they alert law enforcement immediately there is an incident. The central station will also provide products and services that will allow you to manually sound the alarm in case a break-in or robbery is taking place. The central stations communicate through wireless systems allowing the station employees to remain in touch with the agents on the premises until officers arrive. The best part about using monitored security services is that you can pay in affordable monthly fees. 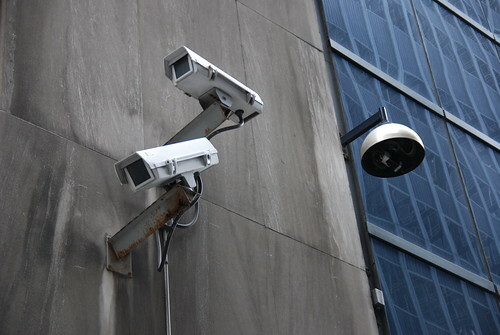 Different size businesses consider monitored security an important business investment. Businesses from commercial properties and construction sites to retail stores, restaurants and government institutions, can benefit from monitored security. With the security system in place, you have peace of mind as well as the resources that you need to run your business efficiently. You can protect your operational efficiency through a customized plan that meets your current and future needs. Remember to work with a reputable service provider so that you get the best results. A good security system for your home or business is an important investment that will give you peace of mind wherever you are. Research shows that things are getting worse when it comes to security and many people have reported having had their premises burglarized. If you are planning to install a new security system or to update your current one, it is important to find out all you can about the technology available. To make the right decision, you need to know the security myths that exist so that you can avoid mistakes and take the best action against criminals. One of the most common myths out there when it comes to security is the thought that “it cannot happen to me”. The fact is that an intrusion occurs every few seconds and most of the intrusions are forced entries. There are people who believe that they do not need a security system because they are safe. Unfortunately, it usually takes a nasty incident to make them realize that a security system would have been a good idea! You should remember that most burglars look for easy targets and you should not risk falling victim to something that a dependable security system could have prevented. This common misconception has led people to install substandard security systems. The fact is that the systems available in the market are not all created equal. There is a good reason why the different systems range widely in cost. It is very important to invest in the best system so that you can reap the benefits. Talk to a security expert so that you can install a system that will work best for your situation. It is important to consider issues such as your location, size of the property, your budget and the overall security needs, when choosing a system. There are people who believe that IP cameras are not effective and they are simply a waste of money. The truth is that there is a good reason why more and more businesses are investing in the best security cameras. The modern IP surveillance cameras are secure and reliable and they come complete with privacy protection and authentication filters. A huge benefit of installing a surveillance system is that it can broadcast video over the internet, removing the need for video capture or a DVR. Many people make the wrong assumption that only large companies with many doors and hundreds of key holders need access control systems. The fact is that access control is important for most companies and many businesses with less than 10 doors have installed the systems. Access control systems can benefit large and small business equally as they help to reduce unnecessary or unwanted traffic. The system will allow you to let in only those supposed to be there. Regardless of the size of your business, you can find a system that will be right for you. This will minimize chances of a break-in. While there may have been some cases of poor response to emergencies, this is not the norm. In most cases, responders arrive at the scene minutes after receiving the alert. Unless your business is located in a remote hard to reach area, you can expect the authorities within five to six minutes. On the other hand, even in cases where the authorities do not arrive in time, the camera surveillance can help to apprehend the criminals. A good security system that includes surveillance capabilities will help to catch the intruders and you can retrieve your stolen belongings. Just like with security equipment, security firms are not created equal. Thinking that one company is the same as the next can prove to be a costly mistake. The truth is that the security provider you work with will mean the difference between secure premises and a dangerous environment. It is very important to ensure that you work with a reputable company so that you can get the best services. Do your research and find out the services that you will get from the security company. Talk to a security consultant or expert to come up with a plan that will work effectively for your needs. Resolve to secure your property and remember that losing your property can be very costly. Investing in security is investing in your future. Many businesses have ended up shutting their doors because they failed to enhance security and they paid the price. Fortunately, a good security system does not have to cost an arm and a leg. Now that the common security myths have been debunked, you should make this year your safest year yet! Installing a security system will help to keep your business secure and it can affect daily operations. A good system will give you peace of mind and you can enjoy the knowledge that your property is safe and your employees are secure. Investing in security is investing in the success of your business. There are many security systems and equipment in the market and you can find what you need to enhance the security and enjoy the best results. It is very important to ensure that you get professional advice and installation for your business security system. As technology continues to evolve, there are many gadgets in the market designed to enhance security. The wide range of equipment helps to ensure that there is something for everyone regardless of their budget. It is important to do some research to make sure that you are getting equipment that will work effectively and produce the desired results. If you have had your security system for a while, chances are that you are already wondering if you have the best available. The truth is that a system that may have served you well for years might now be outdated and this can leave you vulnerable to criminals. Technology is evolving fast and new equipment is getting into the market every other day. The access control system you thought was all the rage a few years ago may be outdated today. Obsolete technology and security cameras can be dangerous especially when you consider that criminals are also getting more sophisticated. Since the security systems are supposed to give you peace of mind, you need to ensure that you have up to date equipment. An inspection from a security expert will help to determine if you need to install a new system. A good sign that you need to update your system is the fact that you have not done so recently. Updating the hardware and software will help to keep you ahead of the criminals. Most of the modern criminals are well versed with technology and it is easy to access the information that they need from the internet. The burglars look for vulnerabilities in security systems and they use this information to their advantage. You need to keep up with technology advances to avoid falling victim. Investing in an annual evaluation of your system is essential and you can ensure your system is effective. The quality of your cameras can mean the difference between catching the criminals and losing all the evidence. The reason why you need the cameras in the first place is so that you can recognize potential criminals. If you have a low-resolution camera and all you can see is grainy images, you do not have much chance of apprehending the criminals. High-Definition is not just for your entertainment system, the same technology will come in handy for your security. With the availability of the high-resolution cameras, you have no reason to hold on to your old system and it is time for an update. Another sign that you need to update your system is if you do not have remote access or monitoring. As a business owner or manager, you should be able to check in or monitor the business from any location. Modern security systems enable you to use your desktop or mobile device to log in and view your business premises via the security cameras. This means that with this popular feature you know what is happening at any given time. It is natural for the employee demographics to change over time but when this happens, it can leave the business vulnerable. The fact is that any time there are people out there who have ID badges, copies of your keys and they know the security codes, your business is open to risk. Employee turnover will create security system vulnerabilities and it is important to change your security plan as your company grows and evolves. A worker who feels that he or she has been wrongly fired can cause problems! If you still have wired sensors on your doors and windows, it may be time to update to modern wireless systems. The systems that are supposed to protect your business can be a security risk, as tech savvy criminals know how to disable or cut the sensor wires. This means that your system can be rendered useless, allowing the criminals to gain access. To improve your security, you need to update to a system that is not easily disabled. Make sure that you work with a reputable security firm that understands how to secure your business by providing the best quality security systems. Updating your security system is an investment that you will not regret! Enhancing security for your home or business is a priority and you need to do what it takes to boost this security. Many people choose to install alarms as they help to deter criminals trying to access the property, while also acting as a call to emergency responders. While it helps to have an alarm system, sometimes this can prove to be problematic. The best intentions can be quite inconvenient when the alarm keeps going off, sometimes without reason! Many business owners install the best security systems only to end up with numerous incidences of false alarms. A false alarm is not just an inconvenience or nuisance; this can also lead to penalties. Any time emergency responders arrive at the scene only to find it was a false alarm, it can cause problems for the home or business owner. In some cities, this can result in fines and it can be a problem when the responders are reluctant to get to a location because of the frequent false alarms. Everyone knows about the boy who cried “wolf” one too many times! Fortunately, there are some tips that will help to reduce incidences of false alarms. The first thing that you should do is to ensure that you invest in a good quality alarm. By investing in the best equipment, you can reduce chances of the alarm going off without good reason. Some of the equipment in the market tends to go off very easily, which can be a huge problem. Talk to a security expert about the best equipment for your situation and remember that to get quality you will have to pay more. Make sure that the alarm is installed by a security expert to avoid problems and to ensure that it functions properly. 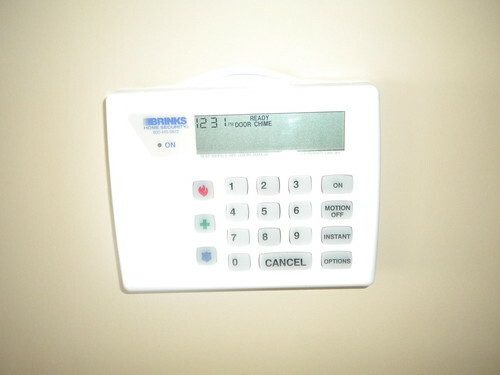 When an alarm system is installed, you have to make sure that all the users know how to use it. One of the easiest ways to avoid the issue of false alarms is by ensuring that all authorized users are properly trained on using the system. This is especially important in a company setting or when dealing with commercial security systems. All the users must know the correct codes to arm and disarm the system. Regular practice sessions will allow you to review the correct use of the security system, and it will also help to ensure that the equipment is functioning well. Get a security expert to conduct the training. If you have young children, you need to help them to understand that the system is not a toy and there are consequences to touching the keypad or pulling the fire alarm system. Most keypads are installed out of the reach of small hands but kids can get very creative! It is important to ensure that you are not the only person in the home who knows how to use the system. You have to remember that something might happen in your absence. Make sure that you demonstrate how to use the system and leave written instructions including the code. If you have pets in the home or wild animals are a problem in your area, make sure that you talk to the security expert about this. Some indoor and outdoor sensors are very sensitive and they can detect or pick up animal movement. Poor placement of the sensors can also be a problem and movement of raccoons and squirrels on your property can trigger a false alarm. Talk to the security expert about proper placement of the equipment. You should also talk to animal control experts to get rid of the wild animals. Remember that the authorities will stop responding promptly after several false alarms. Many things can trigger a false alarm and they range from heavy winds against open windows to hangings objects getting close to the sensors. Make sure that all the doors and windows are firmly shut and locked before you set the alarm. Secure any loose windows and remove any items that may be too close to the sensors as they could fall, triggering an alarm. Check for external triggers that could cause the alarm to go off especially if the weather is particularly windy. This is a simple and yet often overlooked tip to reduce false alarms. One of the best ways to reduce false alarms will also help to ensure that your system works effectively when you want it to. Regular maintenance will help to ensure that the system works perfectly at all times. Make sure that you check the system and all its components on a regular basis to ensure they work properly. Test and replace battery back-ups if necessary, and make sure that the sensors are clean. Periodic alarm tests are necessary but you must alert the security service before the testing. All in all, make sure that you work with a reputable security company so that you can enjoy the best service and protection. If you have a business, you know that you have to create the best atmosphere for growth and expansion. At a time when competition is stiff, good business practices will help to ensure that you remain profitable. There are several things that you need to do to ensure business success and one of them is ensuring that your business is secure. If you know how important it is to ensure security, you will not cut corners when it comes to investing in the best services. Most experts agree that many businesses are making the big mistake of reducing their security budget. The economic climate should not be an excuse to cut costs in the area of security as this can actually end up being a very costly decision. Statistics show that burglaries and other criminal acts continue to be on the rise and many business premises are affected in one way or another. Some companies try to cut costs by appointing staff members to deal with security issues. This might seem like a cost effective solution but the fact is that it can raise safety, health, legal and insurance concerns. One of the most obvious consequences of reducing security is that the business suffers losses. The losses can be crippling and they can even cause the business to close down. Both external and internal thefts can cost the company millions. Research has shown that while burglaries and other external incidences lead to huge losses; the biggest problem can actually be coming from an internal mishap such as company employees being responsible for theft of money, stock and other company properties. A business that hires professional security services can avoid the huge losses that ultimately affect the company bottom line. Companies that appoint specific staff members to be the point of contact in security matters often overlook the safety risks. The fact is that many times these employees, who do not have training in security, end up in potentially dangerous situations. The employees may find themselves facing burglars who are better armed than they are. When you consider that most burglaries occur at night, it means that the employees are working in a highly stressful environment. There have been reports of the lone employee responding to an incident at night ending up in hospital or worse! Apart from safety, there are health concerns when employees work outside their area of expertise. Businesses that decide to cut corners by reducing or getting rid of security personnel might cause their employees to encounter difficulties as they go about their duties. Some incidents that may seem mundane can have significant consequences. Something as simple as a worker being locked out of the building or locked in a dangerous area can have serious results. Experienced security personnel do more than keep burglars out of the building, they also help to keep those in the building safe. All businesses have a legal responsibility to look after their employees and if something was to happen due to lax security, the company can find itself in legal trouble. The business can be liable to penalties and heavy fines occasioned by injury to a staff member trying to respond to a break-in. In most cases, the burglars are armed and this means that the life of the person responding to the incident is in danger. When staff work in stressful situations or outside their normal working hours, the company may be responsible for any accidents or incidents affecting the employees. The extra cost of paying staff to be available or on call after hours can be an additional expense that is not necessary. Most companies do not realize how much they spend on this extra expense and the fact is that it can be more economical to hire security guards. Staff members who hold the keys or have the alarm codes are required to be at the office before everyone else and when this does not happen, it causes huge inconveniences. Productivity is affected when a senior staff member has to respond to an incident or alarm in the middle of the night and is then expected to carry out a vital task in the morning. Outsourcing security matters gives the business owner peace of mind. When you leave the issues of security to experts who have the relevant experience, you can reap the benefits 24/7. The external security specialists help to ensure that your property is protected by a team of people who have the training, resources and expertise to respond appropriately to any incident. Reputable security firms often take a proactive approach to security matters by carrying out regular patrols, inspections and reviews. This helps to reduce the risk of break-ins and other incidents.